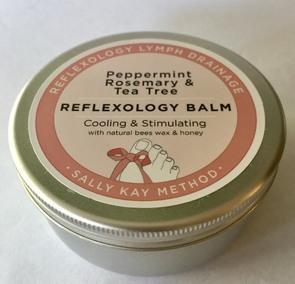 Peppermint's refreshing effect on the tissues lies in the liberating influence on the lymphatic system, activating function through accelerated lymph and tissue fluid circulation*. Rosemary is known for its stimulating effects on the central nervous system and is believed to aid concentration. It is associated with clear thought and is helpful when there is a need for clarity. Tea Tree is an immuno-stimulant and considered unusual with a broad spectrum of antimicrobial activity against bacteria, virus and fungal infections. Peppermint, Rosemary & Tea Tree Ingredients: Helianthus Annuus (Sunflower oil), Cocus nucifera (Coconut oil), Buxus chinensis (Jojoba oil), Cera alba (Beeswax), Mel (Honey), Peppermint (Mentha piperita), Rosemary (Rosmarinus officinalis), Tea Tree (Melaleuca alternifolia), Vitamin E. Limonene, Linalool.